Climber’s elbow (medial epicondylitis) is a form of tendinosis that affects the tendons in the elbow. Even though it is more commonly known as golfer’s elbow, medial epicondylitis affects many more climber’s than it does golf players. Climber’s elbow develops from weak tendons in the elbow and may become painful when climbing or at rest. Powerball is a highly-effective device for rehabilitation and strengthening and when used on a regular basis, it is enough to significantly reduce pain caused by climber’s elbow. Not only that, Powerball will help you to quickly and effectively rehabilitate this condition and will prevent symptoms from reoccurring once you’ve recovered. Climber’s elbow (or medial epicondylitis) is a condition affecting the medial epicondyle (the small, bony lump on the inside of your elbow). If it is your lateral epicondyle (the small, bony lump on the outside of your elbow) which is affected, then you may be suffering from tennis elbow. (See here for more information on how Powerball can help rehabilitate tennis elbow.) Climber’s elbow may occur at any time. Usually it will appear as a dull pain in the elbow, which can be mistaken for overexertion after a long day of climbing. However, if this pain continues to occur and is also brought on by activities other than climbing, it may be the beginnings of climber’s elbow. As climber’s elbow develops gradually and does not usually cause swelling or inflammation, it can sometimes be difficult to diagnose. It is recommended that you seek medical advice if you think you may have climber’s elbow. Climber’s elbow may occur at any time however, it is usually a sudden increase in training that may cause it to first develop. As they have greater access to blood supply, your muscles are able to keep up with a more strenuous training regime, but your tendons are not as adaptable and so, are left comparatively weaker. As a result, your tendons are more prone to damage and degeneration as you continue to train. Microscopic tears can begin to appear on the tendons as they become more and more strained. Regular and more demanding training sessions leave no time for the tendons to heal properly and as the micro tears grow, you are eventually faced with the full discomfort of climber’s elbow. Powerball is a physician-approved rehabilitation device recommended by both physiotherapists and sports injury professionals. Used by millions of athletes all around the world, Powerball is the ideal device to help you rehabilitate and recover from climber’s elbow. As you spin Powerball, it generates a unique form of isometric resistance. This resistance boosts circulation along the entire kinetic chain of the arm, increasing the flow of oxygen-rich nutrients to damaged areas, such as the affected medial tendons in the elbow. These nutrients directly target any tears in the tendons and act quickly to relieve pain and repair damage. Exercise with Powerball for just 3 minutes a day and each time you do, you’ll notice the immediate, healing benefits of this incredible gyroscope. Isotonic or concentric exercises (e.g. lifting weights) are usually recommended to treat and rehabilitate climber’s elbow. While these types of exercises can be beneficial, the benefits of using Powerball are unlike those of any other rehabilitative exercise. Unlike conventional isotonic training, resistance exercise with Powerball is fully isometric. Isometric exercise engages are far higher percentage of muscle fibres than isotonic training does, allowing muscles and tendons to strengthen as they recover. This makes for much more effective, long-term rehabilitation results. What’s more, Powerball’s isometric resistance is 100% non-impact meaning it places absolutely zero additional pressure or strain on sore or damaged tendons. 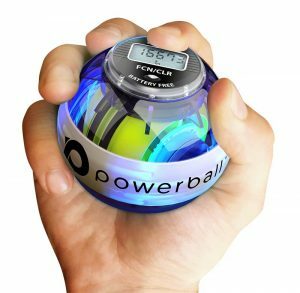 Spinning Powerball at gentle speeds on a regular basis will enable you to gradually increase the range of motion (circumduction) of your elbow joint. Improved flexibility and mobility in the elbow may not get you back on the climbing wall straight away, however it will massively benefit the rehabilitation of your climber’s elbow and help to speed up the recovery process. As you spin Powerball it promotes the production of synovial fluid, which also helps to lubricate the elbow joint and alleviate any stiffness that may have developed as a result of your condition. 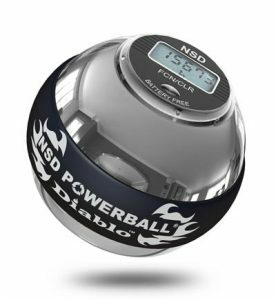 Even from the very first use of Powerball, you can feel the difference as muscle stiffness and tendon pain starts to break down in the elbow joint. Powerball’s dual combination of strengthening and rehabilitation is what sets it apart from other rehabilitation devices. Powerball gently repairs damaged tenon tissue as you spin it at slow and gentle speeds. And as you progress in your recovery, you can gradually increase the speed of Powerball. As you increase the speed, you are also increasing the amount of resistance that Powerball generates. This resistance slowly strengthens your muscles and tendons as you rehabilitate, not only speeding up the healing process, but ensuring for long-lasting treatment results. Since Powerball strengthens as you rehabilitate, your muscles and tendons will be left strong, supple and rejuvenated once you have recovered from climber’s elbow. For this reason, it is important to continue to train with Powerball on a regular basis even after you have finished treatment. Continue to spin Powerball for just 5 minutes each day to maintain joint health and keep your muscles and tendons in top shape. Whether you’re at home, at work or climbing up the side of a mountain, Powerball keeps you strong, healthy and pain-free, so you never need to worry about climber’s elbow again. 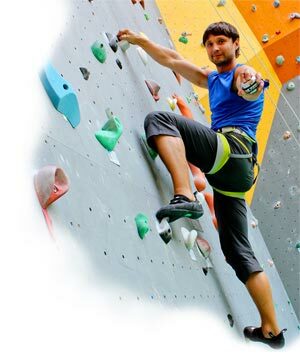 Take a break from the causes of climber’s elbow. This may just involve taking time away from the climbing wall, but you may also need to rest from other activities, such as other impact sports and repetitive movements (e.g. typing, using a computer mouse, driving, etc.) Taking sufficient time to rest will speed up recovery times and reduce the risk of worsening the injury or allowing it to reoccur. Supplement regular Powerball use with frequent stretching exercises. It is recommended that you seek the advice of a physical therapist or doctor for information and guidelines on the type of exercises suitable for treating climber’s elbow. Remember: always take care not to over-exert yourself when doing stretching exercises or training with Powerball. It is important to always perform these exercises with low resistance, especially at the beginning. It is important to know the difference between tendinosis and tendinitis. Climber’s elbow is a form of tendinosis, a condition which causes tendons to degenerate when they heal incorrectly or are not left with sufficient time to recover. Tendinitis on the other hand, such as RSI (repetitive strain injuries) like tennis elbow and carpal tunnel syndrome are generally caused by overuse of the tendons. While tendinitis usually takes a couple of weeks to heal, tendinosis is much more serious and can often take a lot longer to recover from. Because of this, climber’s elbow is not something that will just go away with ice and rest. Since climber’s elbow is caused by poorly-healing tendons, you need to be much more proactive in your recovery. Tendons are made of collagen and so, you also need to take enough time for the body to make more collagen in order for it to repair the damaged tendons. Using Powerball rapidly speeds up treatment times by boosting circulation to the tendons in the elbow. Experience the benefits for yourself – spin Powerball to cut recovery times and get back onto the climbing wall in no time. Tennis elbow (lateral epicondylitis) is a common type of tendonitis that affects the lateral elbow tendons. While the symptoms of tennis elbow can be similar to those of climber’s elbow, tennis elbow affects the tendons on the outside of the elbow joint, while climber’s elbow affects those on the inside part. Also unlike climber’s elbow, tennis elbow is caused by overuse of the tendons. 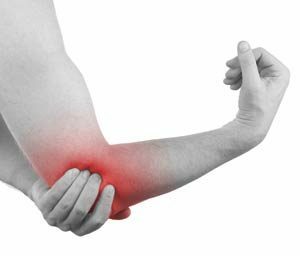 When constant repetitive movements are carried out over a long period of time, the lateral elbow tendons become irritated and inflamed. Sports that require an intense gripping action as you swing your arm, such as, tennis, lifting weights or fencing, are the most common causes of the condition. However, carrying out simple daily tasks such as, driving, typing, lifting heavy objects or even knitting, can also cause tennis elbow to develop. While tennis elbow is much easier to treat than climber’s elbow, it is still recommended that you seek medical advice in order to confirm which condition you might be suffering from. Treatment for both conditions are quite different and you risk making your condition worse if you don’t follow the correct course of treatment. 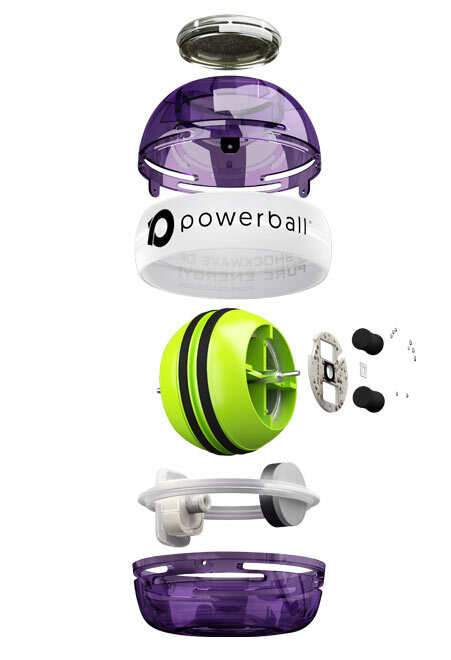 Powerball is highly-effective for treating both tennis elbow and climber’s elbow. 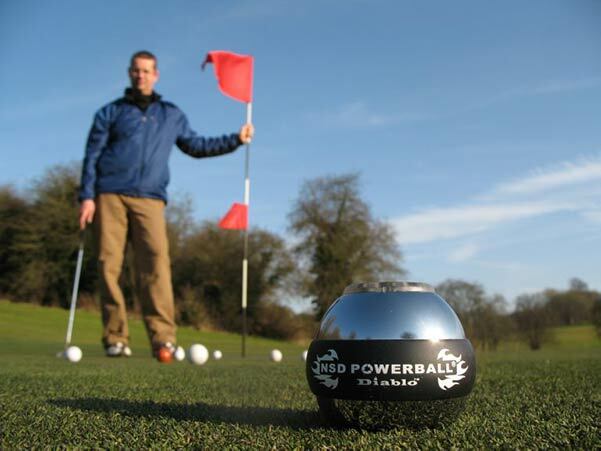 For more information on how Powerball can help you to rehabilitate tennis elbow, see here. Whether you’re using Powerball to rehabilitate an existing injury or prevent one from occurring in the future, we have the perfect Powerball for you. Click on the button below to check out our online store and see the wide range of models available. GOLFER’S/CLIMBER’S ELBOW TROUBLES? POWERBALL IT AWAY.